Insurance Coverage for Tornado Damage to Data Centers | The Voss Law Firm, P.C. Will Your Tornado Insurance Provider Cover the Full Amount of Damage to Your Data Center? 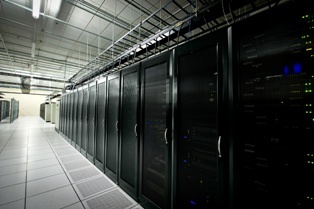 Businesses of all sizes rely on data centers to keep their online processes up and running. These sprawling warehouses rely on continuous power, cooling, and security to store and host sensitive data and network operations—and when a tornado strikes, both hardware and software can be lost forever. Attorney Bill Voss examines the special risks for IT businesses, including how owners can select the insurance options that will replace the full extent of their losses. Physical damage. A physical damage policy should specifically include all valuable items on the property, including all inventory and equipment. When insuring the building itself, owners should consider purchasing replacement value instead of actual value coverage to allow themselves to rebuild the structure as quickly and efficiently as possible. Utility losses. Data centers rely on utility power to host networks and run applications, but also to run cooling systems to prevent servers in the facility from overheating. If power is interrupted, networks will go offline and overheated servers may fail, causing irreparable damage to client’s hardware and reputations. Water intrusion. If a tornado damages the roof and allows water to enter the structure, water damage may not be covered by policies with “concurrent causation” clauses. Since nearly everything in a data center is sensitive to water, owners should ensure that water damage will be covered regardless of the cause. Security losses. Data centers are at continual risk of the loss of sensitive information. During a tornado, data may be lost physically (as computers are servers are damaged in a storm or stolen during an outage) or virtually (as a result of lost power or internet connection). Owners should ensure that their policies cover surveillance cameras, locked cages, doors and gates, and other secure areas to ensure fast repairs. Cyber insurance. Your property insurance may cover equipment losses, but it typically will not reimburse you for data losses if unsaved virtual information is destroyed. However, a cyber insurance policy can allow owners to minimize the financial impact of a power outage, and may pay for data retrieval and recovery services to attempt to restore lost information. Business interruption. Business income loss can provide up to six months’ worth of profits during repairs and recovery, and can even cover the costs of moving to a secure secondary location for business continuity. Contingent business interruption. Even if your data center is not located in Texas, it can still be affected by an adverse weather event in the Lone Star state. If you serve large clients or have business partners or primary suppliers in Texas, or another area where certain disasters are more likely, you may want to consider purchasing contingent business interruption insurance. This coverage pays for the indirect costs of a disaster, such as the loss of materials or services provided by a supplier whose operations have been affected by a tornado. If a manufacturer cannot supply wiring, hardware, or software applications due to a disaster, contingent business interruption can cover your loss of revenue while you locate and secure an alternate supplier. Total loss coverage. Data centers in Texas should be built to withstand extreme weather conditions, including high winds and adverse weather brought by tornados. If the roof, walls, and foundation of the structure will not withstand winds over 100 mph, owners should strongly consider purchasing total loss coverage for your business. If you need help with your tornado damage insurance claim, we can work to get you full and fair payment to make repairs and reopen your doors. Please contact the Voss Law Firm at 1-888-991-3212 or simply fill out the form on this page today to get answers to your questions. How Long Do I Have to Submit a Tornado Insurance Claim for My Business?